The City of Fayetteville is the 5th-largest municipality in North Carolina. Over 205,000 people.It may also have the most popcorn ceilings that I’ve ever seen. Pricing for popcorn removal pricing can be different from Fayetteville to Durham. I dont think there is a standard price. Because its not the the removal process as much as the quality of drywall finishing to your ceilings. I Sprayed popcorn texture for 35 years and still spray ceilings in 2019 mainly repars. This qualifies me to know the proper procedures when removing and finishing your ceilings without damaging your drywall. Unfortunately this is what painted over popcorn celings looks like. It looks like its dripping were paint holding it together. Your not supose to paint popcorn texture. Because its accouctic made to absorbe sound, Very labor intesive removing when painted. I have been in the popcorn texture business for many years. I started spraying ceilings around 1980 around Fayetteville NC. Popcorn ceilings were very popular back then. So I know first hand about the underlying conditions of the drywall. Spraying popcorn texture with hopper gun splatters everywhere and removing the popcorn texture can be just as messy..
All ceilings that were sprayed with a popcorn texture only had two coats of joint compound not three, as is standard practice for smooth ceilings. Also, the angle tape on the ceiling side is never mudded. That is why you need an experienced drywall contractor to handle the final skim coat, mud the top angle in the corners, skim over all screws, and sand it all smooth with a dustless sander. There’s no reason your ceilings can’t be perfect. When the old popcorn texture is removed we make sure you have no saging issues in your ceiling. Also Drywall screws was not used in North Carolina until 1984 any ceilings prior will need updated with screws to prevent nail pops. Drywall finishing is a final product, if not done properly every ceiling joints will show through the primer and paint. Absoultly you can remove your ceiling texture. its not rocket science. Soften the popcorn up untitil ceiling starts to turn grey wet look. Wait five minutes allowing popcorn to penatrate good and scrape with six inch putty knife. Scraping your own ceiling can be difficult. If the popcorn has a coat of paint over top of the popcorn it can be difficul. Painting over popcorn texture bonds it togeter. If this is your case best to call a drywall contractor. Draping paper for you floors and .5 mill plastic for all your walls and furnishing also 3m tape. Garden water sprayer works great.You can find all of theses item at your local builing supply. Yes you will need to skim coat all your ceiling joints and screws with join compound for a final finish. you can skip the muding process but the final outcome will not look good Then sand your ceiling with 120 grit sandpaper. roll drywall primer then paint your ceilings. In older homes, before 1978 asbestos can be a serious problem, especially for small children or older adults. If your home constructed before 1977, it is always a good idea to test for asbestos before any ceiling surface is disturbed. Contact CEI Lab in Cary NC. Before any ceiling work is done, We will ask if you want popcorn removed under your coves. Any and all surfaces directly below the work area will be covered by plastic sheeting or drop cloths. Wall will be protected with plastic also. This helps to protect your home and makes for an easier clean up. Same process for occupied or non occupied homes. The ceiling will be prepped with a hydrating solution. This serves three purposes. Cuts down on free air born drywall dust. The texture removal process typically reveals flaws in the drywall itself. Previous repairs. If this is the case with your ceilings we will repair. 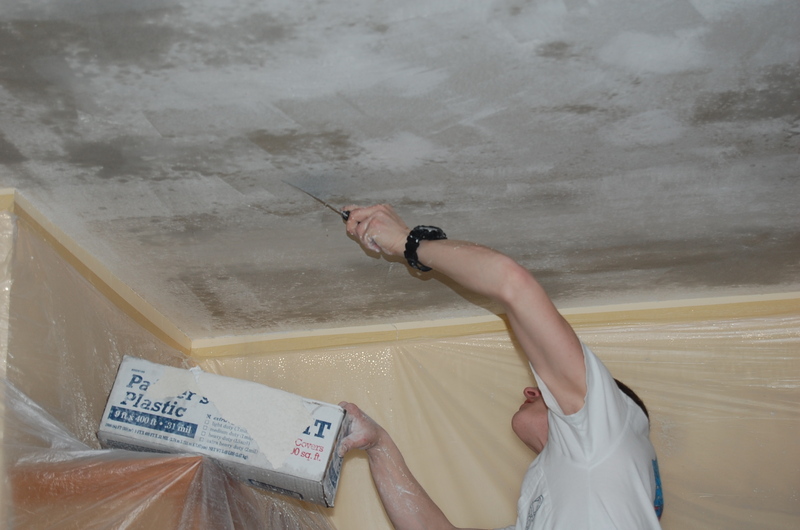 We will re-skim all your ceiling joints with a layer of drywall mud on the ceiling to insure a proper, smooth finish. My husband and I recently hired Mike and his team to resurface and repair our ceilings after having popcorn texture removed by a local abatement company. The popcorn texture removal left our ceilings looking like raw cardboard. The popcorn texture had to be peeled off the ceilings taking the top coating of the sheet rock with it. Mike took on the job, over 2000 square feet of ceiling, and let me tell you… they KNOW what they are doing. 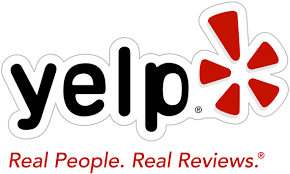 He reinforced all of the sheet rock with new drywall screws, replaced a ceiling beam and a few sheet rock panels to remove a visible bow in our living room, sanded, primed, re-did the ceiling edges and corners, re-surfaced, the list goes on. Mike and his team truly went above and beyond to repair our ceilings. We were on a tight timeline so they worked weekend hours to get the job done as soon as possible. It is evident that Mike takes extreme pride in his work and does the job the right way. I would hire Mike again in a heartbeat and highly recommend him for all your drywall needs! 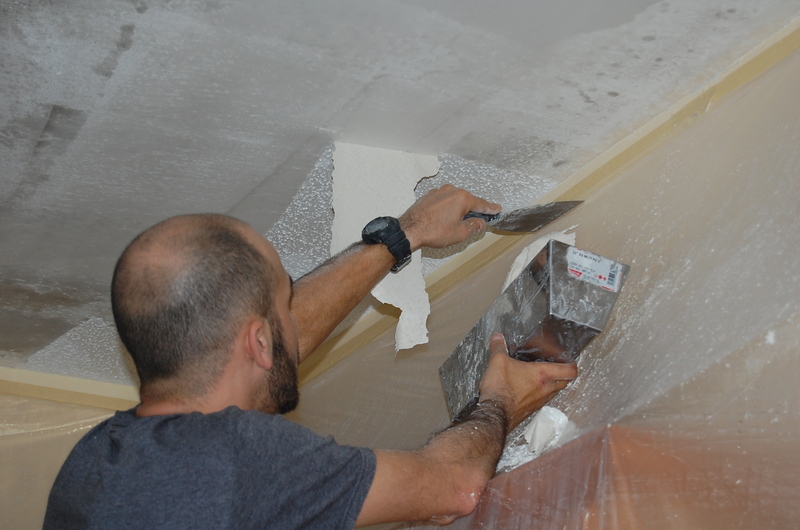 We had Mike and his crew come remove popcorn ceilings throughout our home and then get them all taped and skimmed,ready for painting. They did an outstanding job–they came exactly when they said they would, worked quickly and carefully, and cleaned up completely. They are sticklers for detail, and went above and beyond what they were contracted to do–spending time patching walls, as well, since they knew we’d be painting those soon, too. They do things the right way, not the easy way, and it shows. And Mike is a great communicator–he kept me in the loop every step of the way. I’d use them again in a heartbeat!